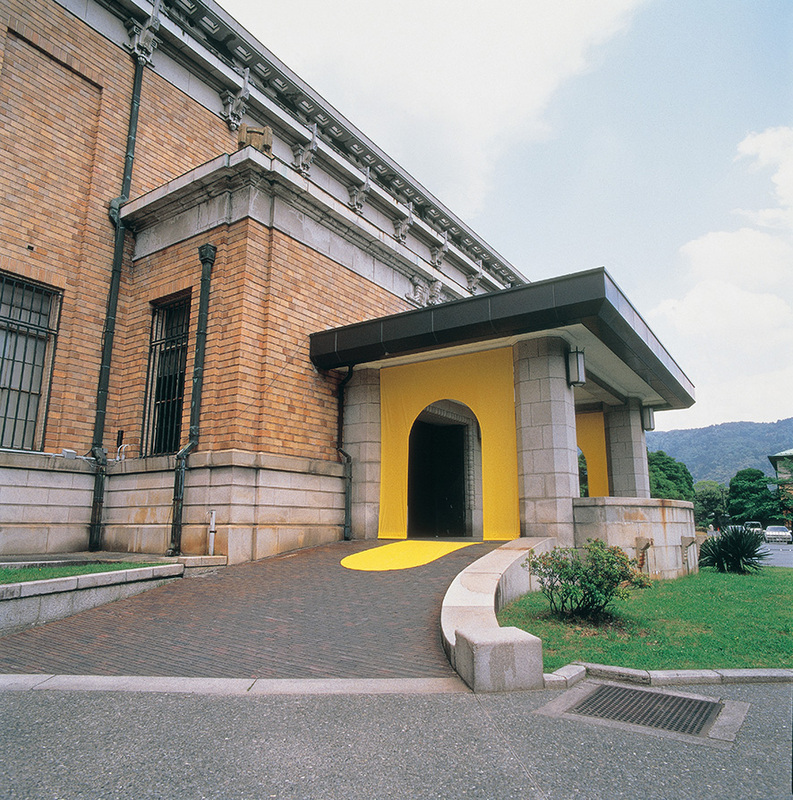 In his later works in public or semi-public spaces (museums, department stores, and shopping centers), Matsui puts observers and passers-by in paradoxical situations. 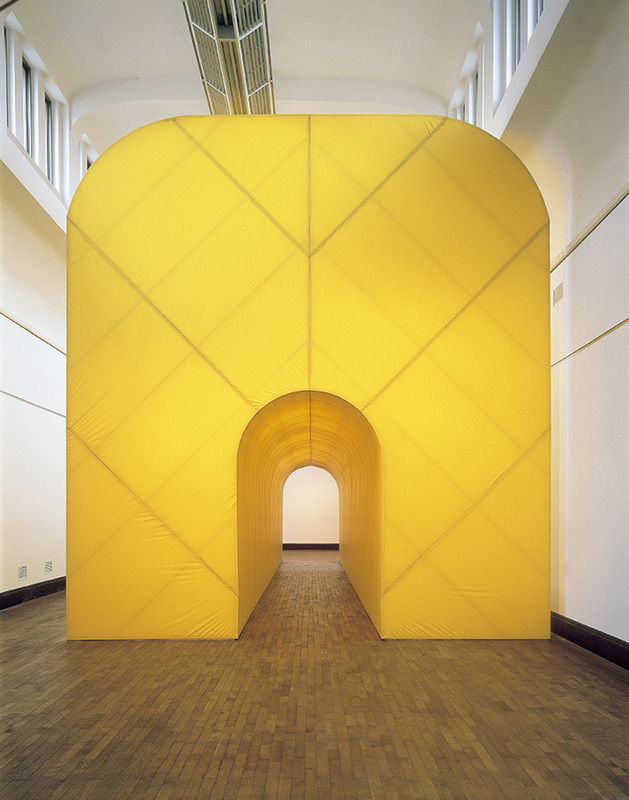 Passages clad in stretched yellow fabric direct ones movement and sight to particular architectural structures, and at the same time induce a sensory deprivation that plunges the viewer in to zones of color and infinite depth. The act of seeing itself becomes the focus. 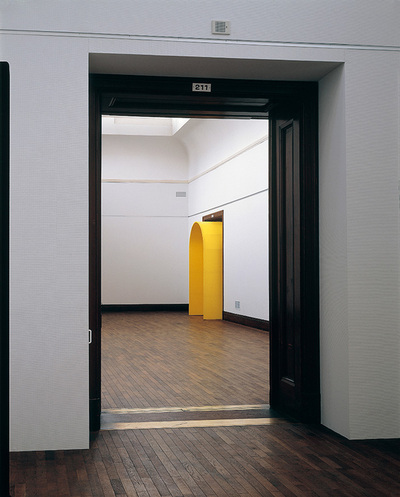 Seeing always implies not seeing. The whole and its relationships remain unintelligible and require physical movement, and the trace of this movement stored in the memory. The way in which the inner representation of the entire structure is assembled is comparable to the ancient rhetorical practice of mnemotechnique, with the difference being that here the observer reconstructs in memory not sentences but intensive visual experiences staged within buildings. 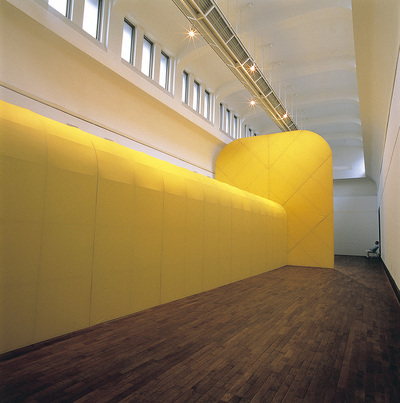 Matsui built such an installation for the first time in the Kyoto Municipal Museum, using tautly stretched elastic yellow textile. 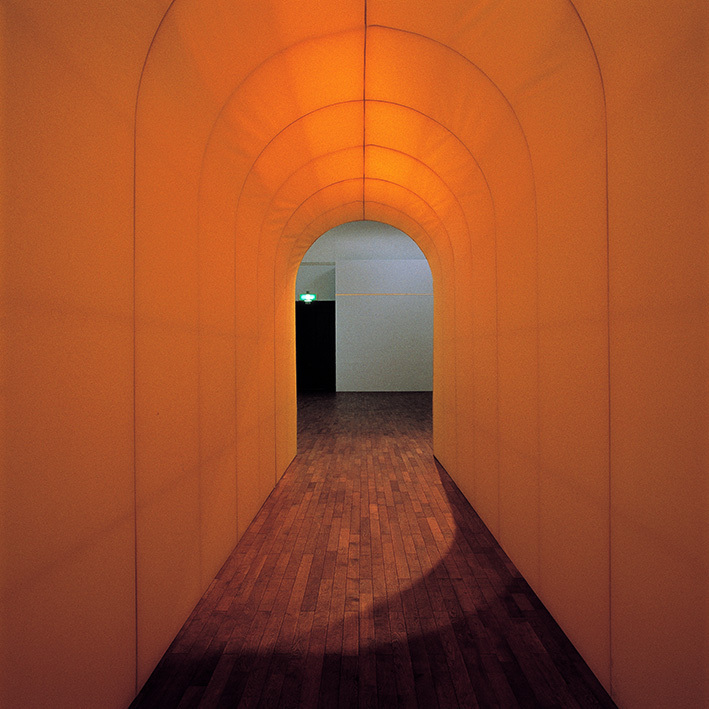 The visitor stepped in to the large central exhibition hall through a tunnel of color that protruded through the entrance door. 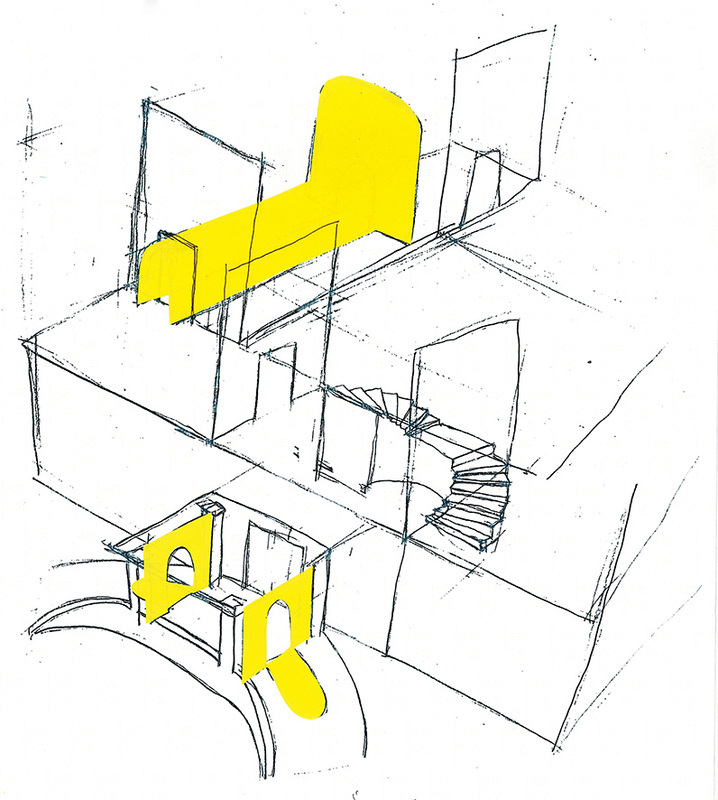 Inside the real space, the tunnel entered in to an arch, also of yellow fabric, which echoed the vault of the ceiling.